Most people want to make a difference in the world around them but very few can do it through fashion. Unless a remarkable statement is made, just defying societal norms is not going to cut it. These individuals below not only caused chatter around the world, they changed the way we view society. When Michelle Obama released her first photo as First Lady, her bare arms caused an uproar. Showing off her amazingly toned arms in a sleeveless, black dress, people criticized her for wearing what many deemed inappropriate for the wife of the president. Their criticisms stemmed from an unwritten, arbitrary rule that sleeveless dresses, tennis shoes and open-toes shoes are banned in the House of Representatives. Nonetheless, it didn’t stop Mrs. Obama from donning many sleeveless numbers during her husband’s tenure as President and many have spoken out about the unwritten (and possibly outdated) dress code as it pertains to women, asking for change. The late, great Kurt Cobain is the poster boy for grunge fashion. A strong advocate for LGBTQ rights and racial equality, his anti-establishment standpoint was as present in the clothes he wore, as it was in his music. Cobain layered oversized tees, ripped clothing and flannels in an effort to be unlike greater society as much as possible. He ended up being one of the greatest influencers of street fashion today. Androgyny has always been prevalent in fashion. As society explores gender norms and fluidity, the characteristic line that differentiates men and women become blurred. However, as evidenced by the late David Bowie, pushing those boundaries allows us to explore who we are. Through his characters Ziggy Stardust and Alladin Sane, Bowie donned colorful, stylistic makeup, tight leotards and exuded sexuality. When he wasn’t wearing stylistic makeup and tight leotards, Bowie wore pastel suits with flared legs. Knowing how seductive Bowie’s style was to both men and women, it’s no wonder Romphims (male rompers), dresses and other traditional women’s clothing are entering men’s wardrobes. Lastly we have the iconic Kennedys. A vision of New England elegance, the confident and cool couple’s fashion sense has withstood the test of time. Ms. Jackie O. transformed stuffy, conservative garbs into soft, feminine ensembles. Her oversized sunglasses, long pea coats and scarves are highly prized staple pieces in our closets. Mr. Kennedy’s bomber jackets, fitted suits and casual style is emulated in men’s fashion all over the world. Thanks to them, it’s safe to say New England wear will live on forever as a part of American fashion. We couldn’t mention everyone who has changed the world (while in fashion) so we want to know from you, who else is deserving to be on this list? If you’re in Florida right now, we’re going to guess that the sun has been beating you into a hot, sweaty pulp! And you probably find yourself searching aimlessly for that breeze when you step outside of your home! Well, look no further. 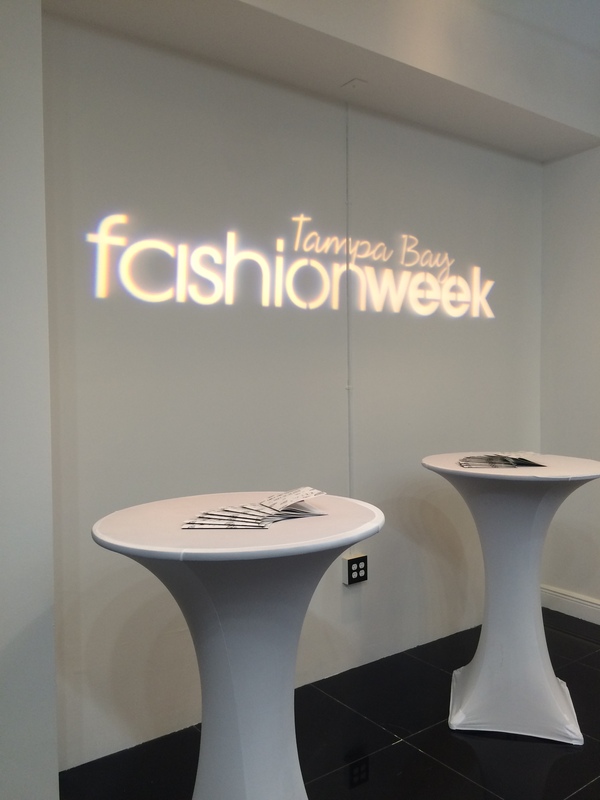 We can’t create wind, but Fashion Week Tampa Bay can help you stay breezy, work that frizz, and look as relaxed as the Florida palm trees. First things first, remove all tight articles of clothing from your closet, drawers and mind for the foreseeable hot future. Tank tops and shorts included! Though they seem like go-to articles of clothing, they will only make you hotter and sweat like a gruesome day in the gym. Wear LOOSE clothing. The less fabric touching your skin, the cooler you will feel. If you can help it, wear cotton. Take full advantage of crop tops, bralettes and sport bras. If showing skin is not your thing, wear high waist shorts or a loose skirt. Skirts and maxi dresses give your skin breathing room. Pairing crop tops or bralettes with skirts or donning a maxi dress can give you a simple, very modern look. Rompers or short overalls can also help keep you cool. The trick is making sure the fabrics are lightweight like cotton or linen. Denim can absorb heat but a nice pair of overalls paired with a bralette or crop top will have you looking chic and Tampa Bay Fashion Week approved. All women know what the sun can do to our tresses but in the name of Beyonce, we are going to take lemons and make lemonade. Wear hats, scarves or bandanas and style that frizz! Everyday looks can be made with baseball caps, just throw it on. Creatively use scarves or bandanas to hold your hair off your neck. Use them as elastics to put your hair in a ponytail. Put your hair in a bun and wrap a scarf or bandana around your head or the bun. The hair accessories will give your outfit a little flair and let you show off your personality. These tips will help you stay airy, breezy and easy. Try them and let us know if they worked for you. 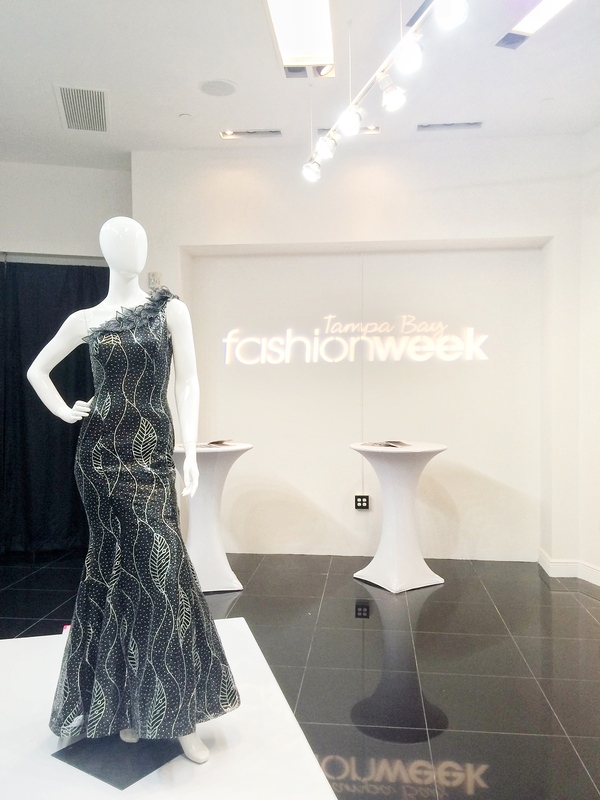 Tampa Bay Fashion Week just wrapped up our 8th annual event (Sept. 16-19, 2015)! 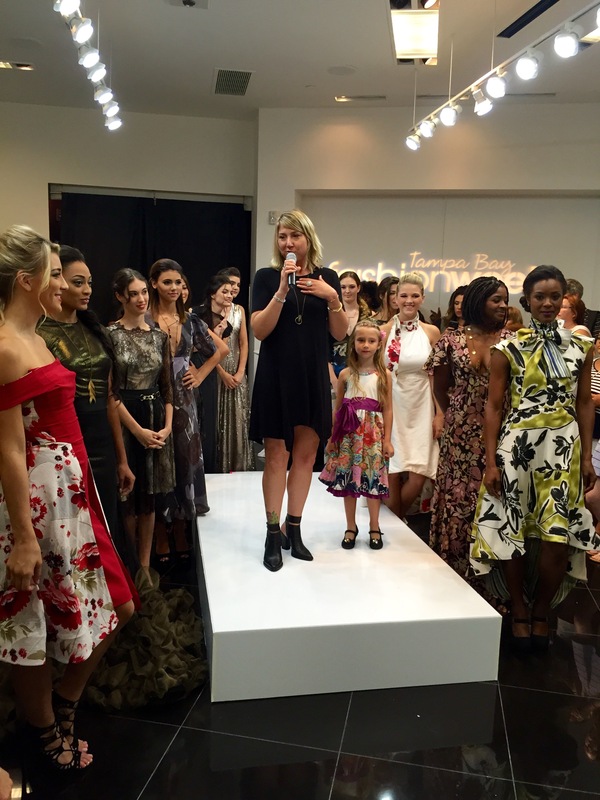 This year came with a new designer-centric format – instead of a runway show, we held trunk shows as well as fashion presentations. 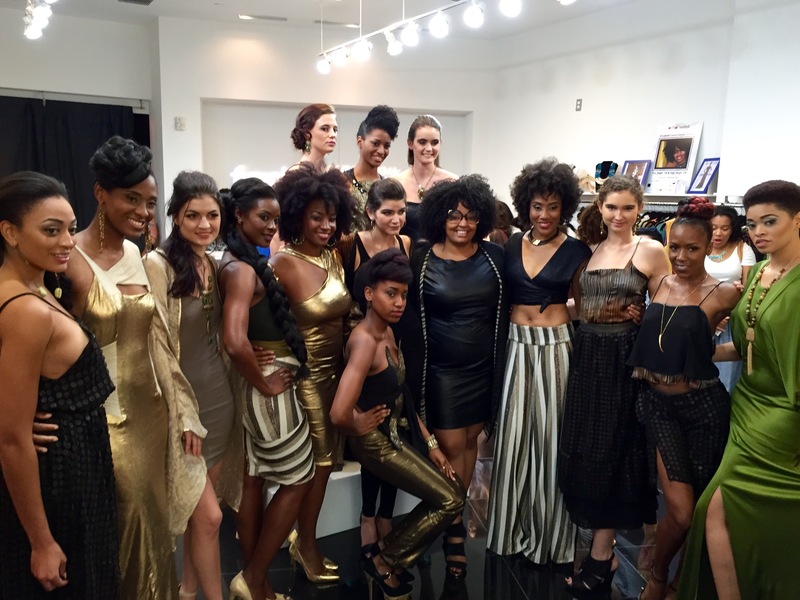 Our designer trunk shows were held at what we called PURE Haus (PURE = Pop Up Retail Experience). 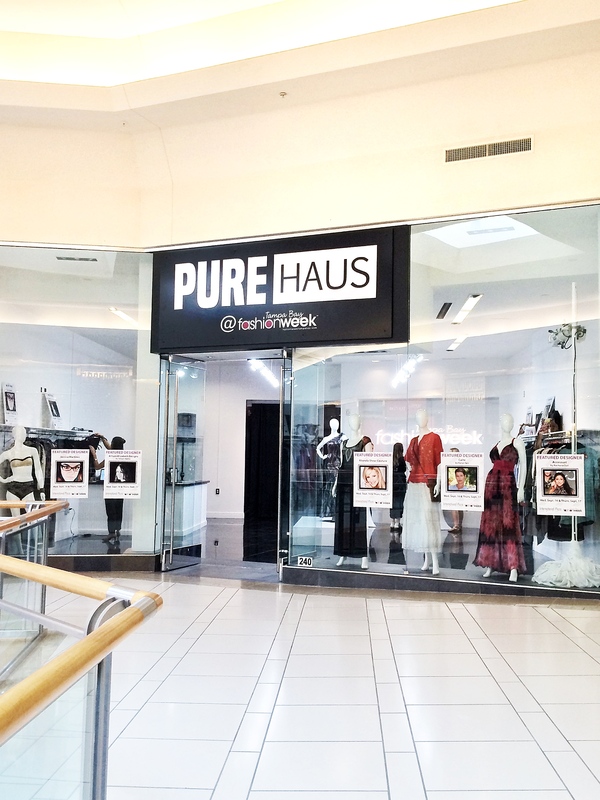 PURE Haus was held at International Plaza and Bay Street and allowed people to meet with the designers and shop their collections. 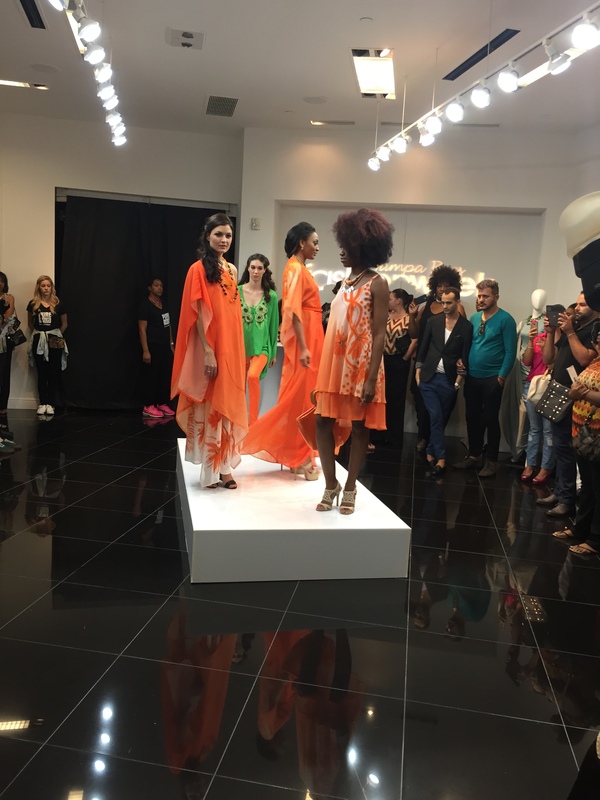 Our pop-up shop was open the duration of the mall hours (10am-9pm), and at designated times during our week, fashion lovers and the public enjoyed a presentation of the designers collections on display. Accessuri by Rachana Suri: A focus on eco-organic fashion with a purpose of giving women a choice to purchase earth-sustaining products. Rachana also uses her clothing line to bring awareness to the issue of human trafficking and how to stop the epidemic. Rachana shares her mission on ABC Action News here. Allison Elizabeth Design by Allison Bailey: This is Allison Bailey’s first time showing in Tampa Bay Fashion Week, and she showed her latest swimwear collection at this year’s event, highlighting high-waisted styles, lace and more and boldly highlighting women’s confidence! CAITE by Karyn Seo: After 30 years in the industry Karyn believed that by launching her own company she would be able to be the best mother when her daughter was born while maintaining a strong and healthy career in the fashion industry. Karyn showcased a contemporary clothing collection with unique embroidery designed for all women. Jessica Martinez: A recent graduate from Sanford Brown IADT School of Design, Jessica brought her one-of-a-kind designs, all made by hand. 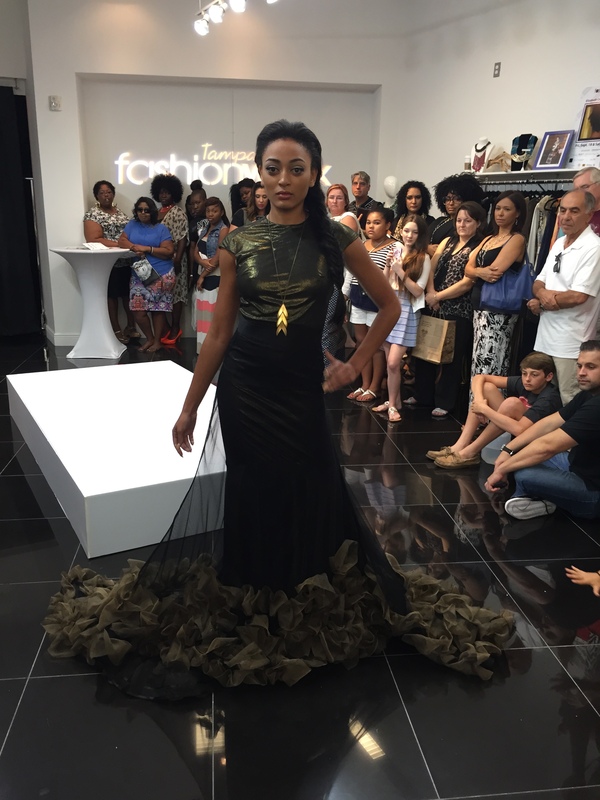 She is excited about her future in the fashion industry and we’re excited to see where the future takes her! Rhonda Shear Couture: Always a showstopper, Rhonda featured her couture dress collection this year, as well as her lounge wear and intimate apparel. The goal for her designs are to embrace the female body and all of it’s curves while remaining comfortable! Magenta by Wendy Ohlendorf: From Portland, OR, Wendy brought her modern and romantic one-of-a-kind dresses to our stage. 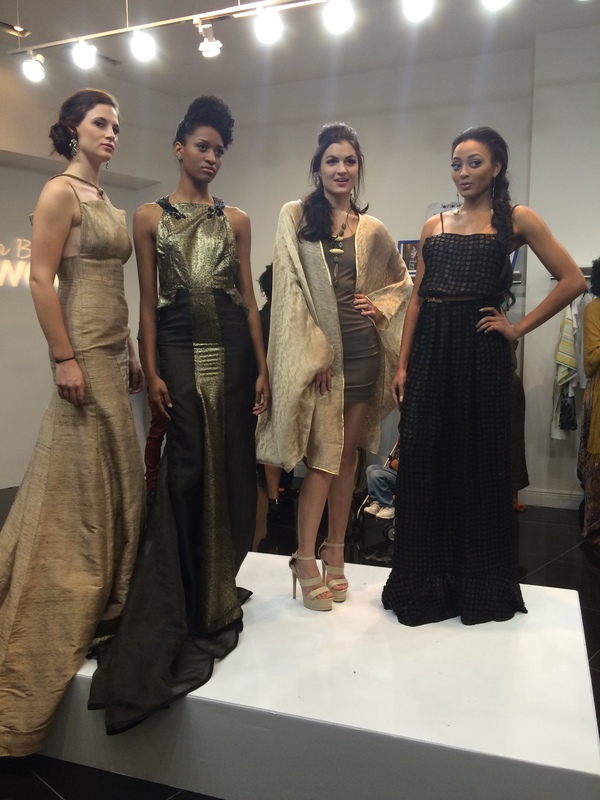 Wendy’s love of creativity and travel are very apparent in her designs, as each piece represented a work of art. 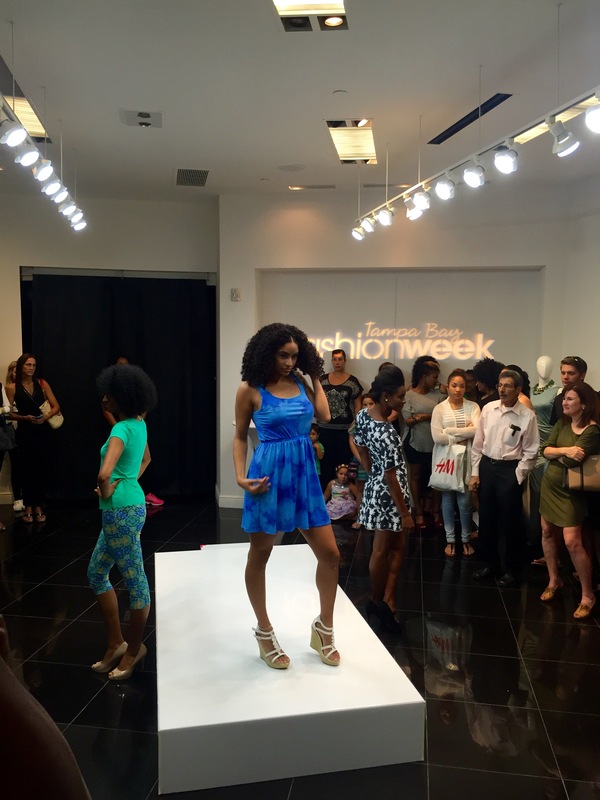 Cerulean Blu by Desiree Noisette: Desiree brought us her colorful resort wear collection based out of St. Petersburg, FL, with soft fabrics and artistic designs. The variety of lengths, styles and colors, make Cerulean Blu’s collection easy transitional pieces to wear any time of the day. Be-Bops Custom Swimwear by Priscilla Kidder: Priscilla is committed to providing custom swimwear that helps women feel more confident in what they wear. Her goal is to help all women feel beautiful and comfortable while wearing swimwear that flatters in her vintage style, quality collection. Oscar de la Portilla Escandon: Traveling all the way from Cuba, Oscar brought garments that are all hand-painted and vibrant in color. He mixed art, stones and metals into his unique and inspiring Spring 2016 collection. 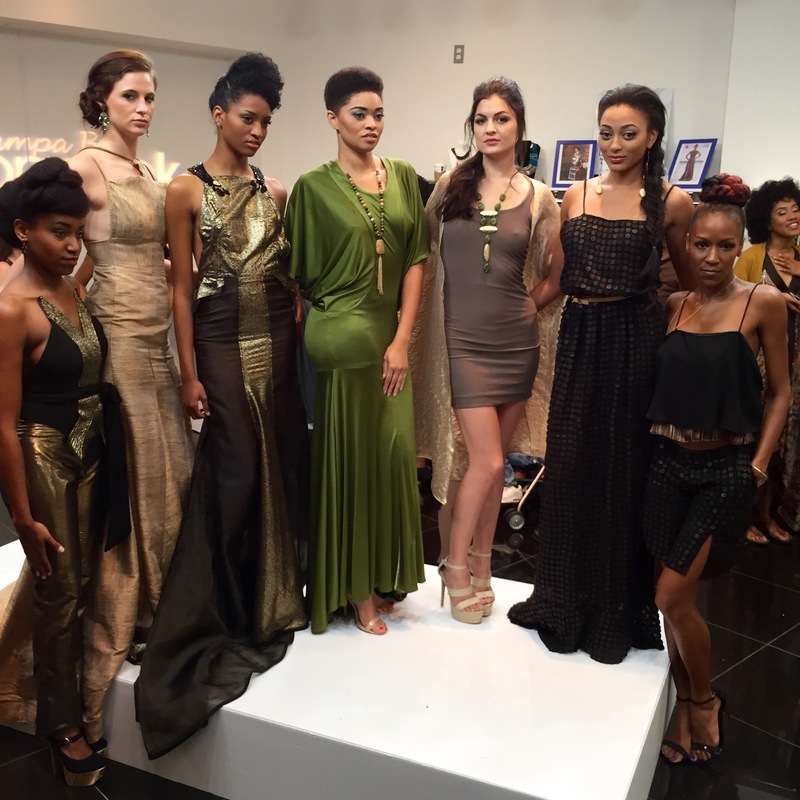 Elizabeth Racker Designs: Ready-to-wear apparel that is fashion-forward, Elizabeth brings high-quality garments that are perfect for any occasion. Always staying up on the latest fashion trends, Elizabeth makes sure that what you will be wearing is eye catching and unique! In addition to all of the spectacular designers we had showing this year, we also enjoyed a special Student Designer Showcase from Sanford Brown IADT School of Design. 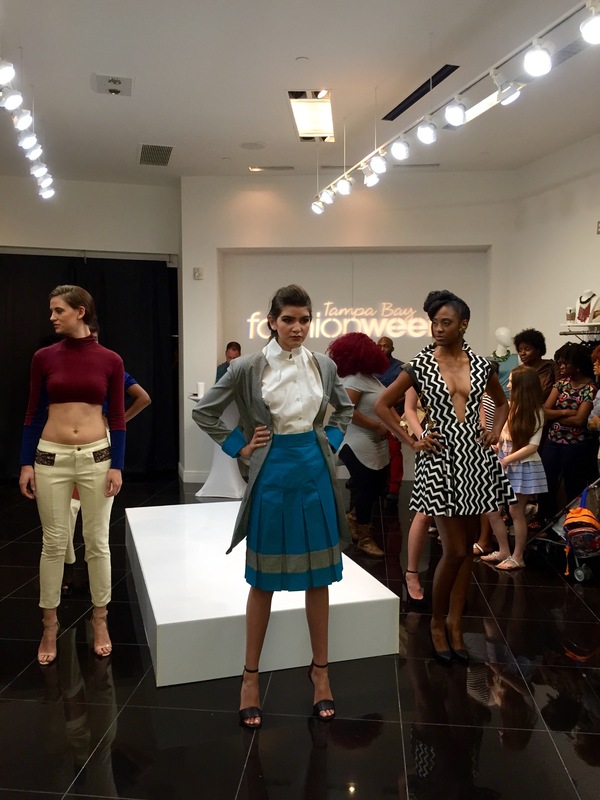 The students designers included: Francesca Buot, Jessenia Ocasio and Lakesha Johnson. This year’s beneficiary Dress For Success, and we held a purse drive the duration of the PURE Haus event. Thank you to those who donated purses! Dress For Success helps women thrive in their work and life. 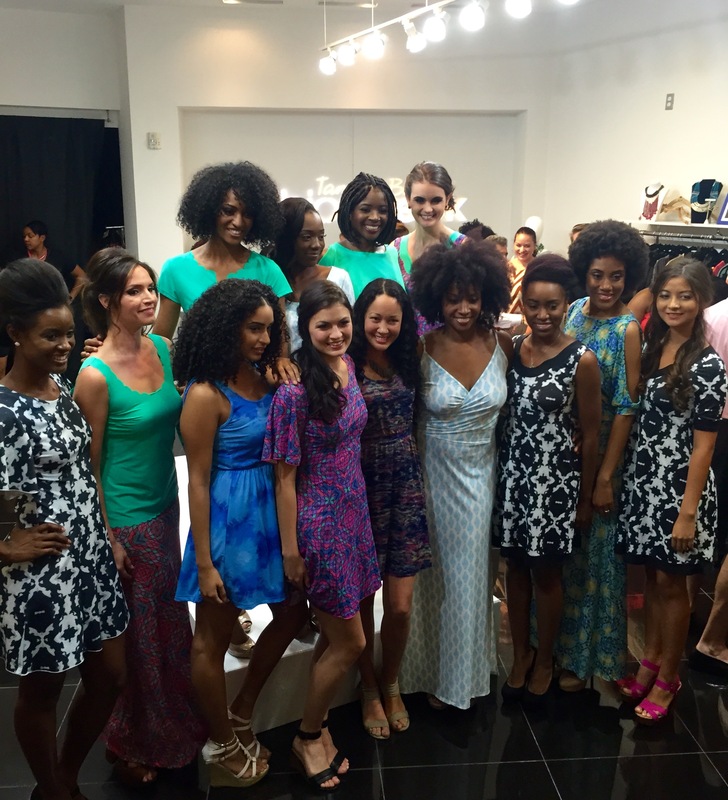 The mission of Dress for Success Tampa Bay is to promote the economic independence of disadvantaged women by providing professional attire, a network of support, and the career development tools to help women to thrive in work and in life. 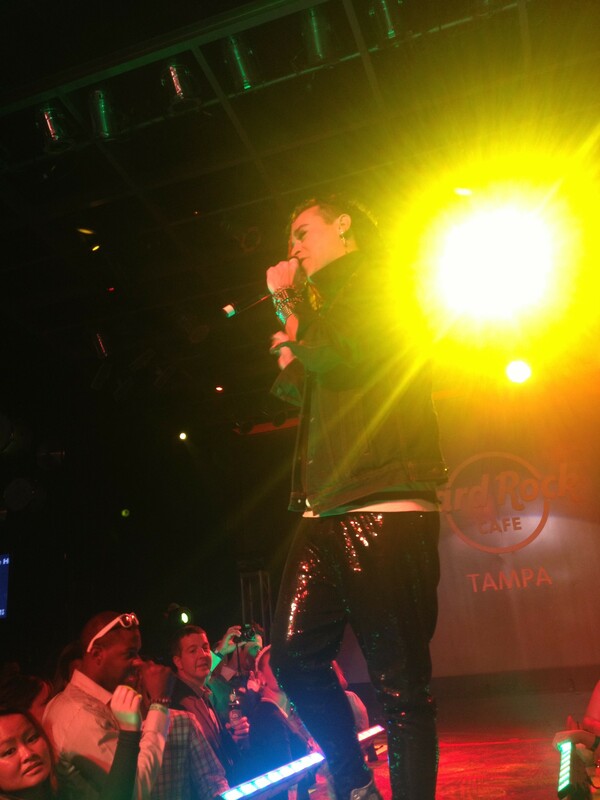 We appreciate all of you who came out to support Tampa Bay Fashion Week! 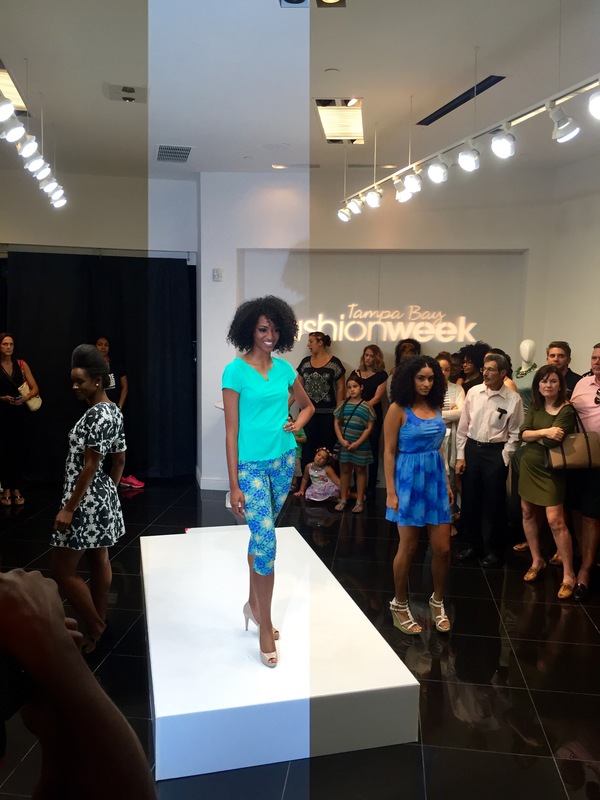 If you have pictures you would like to share, we invite you to use #TBFW #FWTB #TBFASHIONWEEK! Follow us on Twitter, Instagram and Facebook. Learn how you can get involved by visiting our website and subscribe to our emails!